Let your top do the talking in this pink leopard button up shirt. 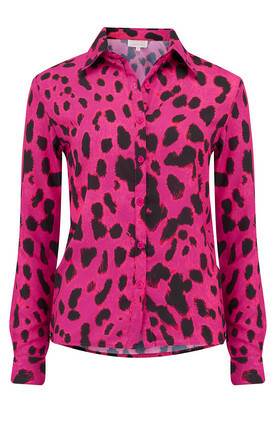 Perfect for layering up in the winter and standing out in the summer, this top will be with you all year round. Hip length with full sleeves, to get the model's look simply tuck the shirt in and roll the sleeves up.